HP iQuote Management Users: do you want to host documents in HP iQuote? Using one of these frankly amazing online document readers it’s now easy to view documents in HP iQuote. Or just click on Resources on the top menu. You are then offered various documents (e.g. 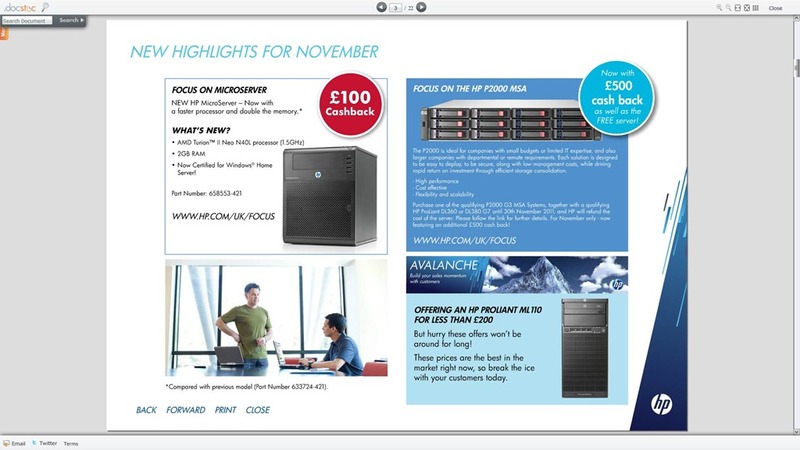 HP iQuote Training Guides) and the Focus Pack. It can be viewed in a window or full screen and has a very useful Document Search function (so if you are looking for Cash Back deals you find them quickly). Of course only UK users can view this file and by definition that means that each Country can have localised content.